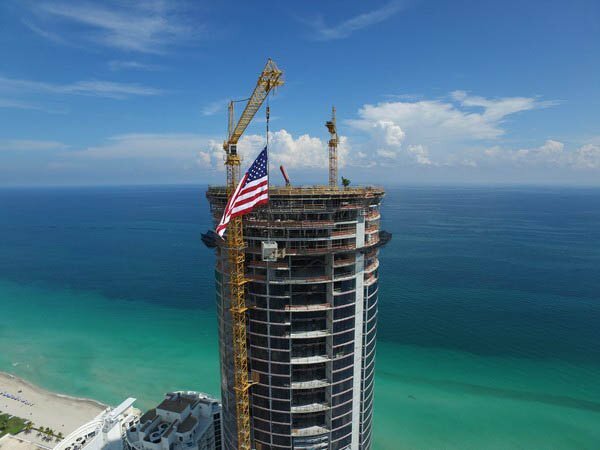 The Porsche Design Tower Miami in Sunny Isles Beach has officially topped off. 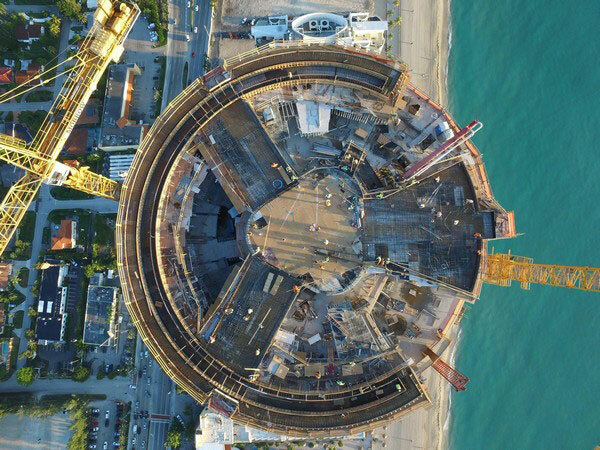 The Developer and the general contractor celebrated this milestone by hosting an appreciative luncheon for over 600 construction workers, engineers and contractors involved in the project. 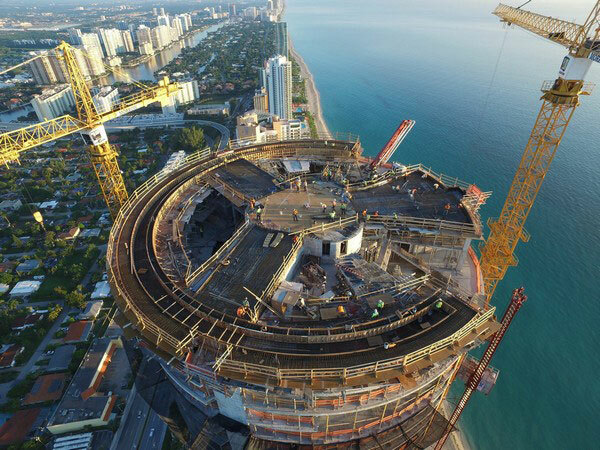 Porsche Design Tower broke ground in April 2013 and is located on a beachfront site at 18555 Collins Avenue in Miami. Eight units remain available at the project, with prices ranging from $6.3 million to $32.5 million, according to a release. One of the remaining residences is an over-the-top, four-story penthouse that measures an incredible 16,915 square feet (1571 m²). 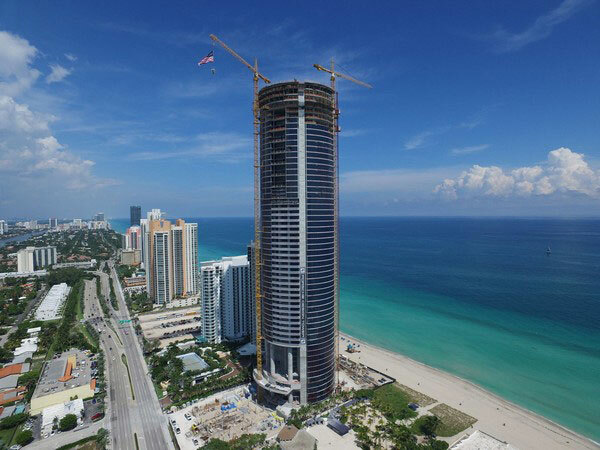 Take a look at the Porsche Design Tower Miami page for more information about this development.